With Your Support, the International Dark-Sky Association Will be Doing so Much More in 2018! Home » Uncategorized » With Your Support, the International Dark-Sky Association Will be Doing so Much More in 2018! 2017 was a year of amazing growth for the International Dark-Sky Association and the community it supports. People around the world, from the rugged landscapes of the Sawtooth Mountain range in central Idaho, U.S. to the southwest Namib Desert in Namibia, Africa are fighting for night skies. Your investment helps IDA support these efforts by providing our advocates with a variety of dark sky resources. From light pollution awareness efforts, to Dark Sky Places, to IDA-certified environmentally-friendly technical lighting solutions for residents and decision-makers, IDA is leading the charge in reducing light pollution across the globe. In 2018, IDA is expanding its vision for how we engage dark sky grassroots efforts. This year we will be taking a number of important steps to bring together a cohesive, forward-looking and nimble network, sharing leading-edge best practices and tools, and making the night sky defender community more powerful than ever! IDA’s 2018 Annual General Meeting in Snowbird, Utah, U.S., to be held November 10th through 12th, will provide an exceptional opportunity for the entire IDA family to come together and celebrate 30 years of dark sky efforts and successes. We expect to reach an incredible milestone in certifying our 100th International Dark Sky Place. 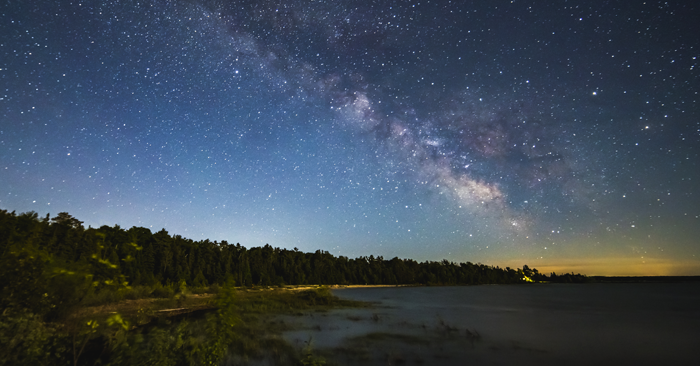 IDA’s Dark Sky Places program is a cornerstone of our work, with many a dark sky defender having been inspired to take up the cause under a black night sky filled with bright, glimmering stars at an International Dark Sky Place. To better position ourselves as an even more potent force in the U.S. and international policy arena, we will expand our capacity to work with decision-makers at all levels of government to inform and influence their lighting decisions that promote dark skies. These are but a few of the exciting new initiatives that you can expect to see from IDA in 2018, and we are deeply grateful that you’re a part of our dark sky community as we celebrate our 30th Anniversary. Thank you for playing such a crucial role in this movement to restore and protect the night for our wildlife, ourselves, and future generations.